LaLouli: Roger Vivier gets bejewelled in "A Queen Forever"
A girl can never have enough jewels or shoes. Now you can have both thanks to Roger Vivier! 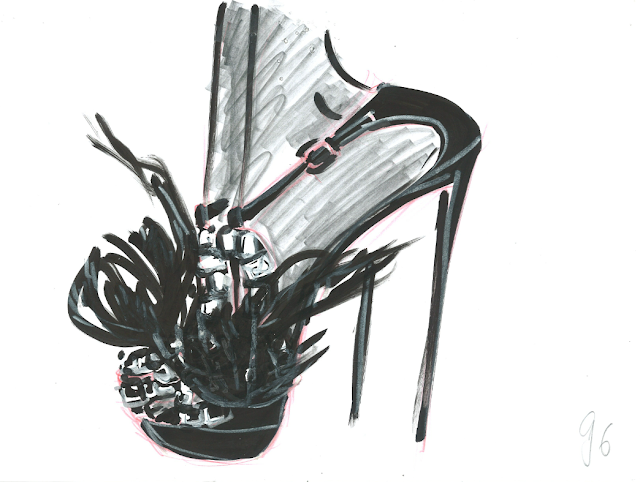 In celebration of the Diamond Jubilee, the Creative Director of Maison Roger Vivier, Bruno Frisoni created "A Queen Forever". The diamond-enrusted shoe is truly fit for royalty and was hand crafted in coordination with The East India Company. The shoe was inspired by the original shoe designed for the Coronation of HM Queen Elizabeth II. If you would like to view this once in a lifetime dazzler, you can book an appointment at Roger Vivier London or experience it afterwards at the diamond "Brilliant Exhibition" Masterpiece Fair in london from june 28th to july 4th 2012.